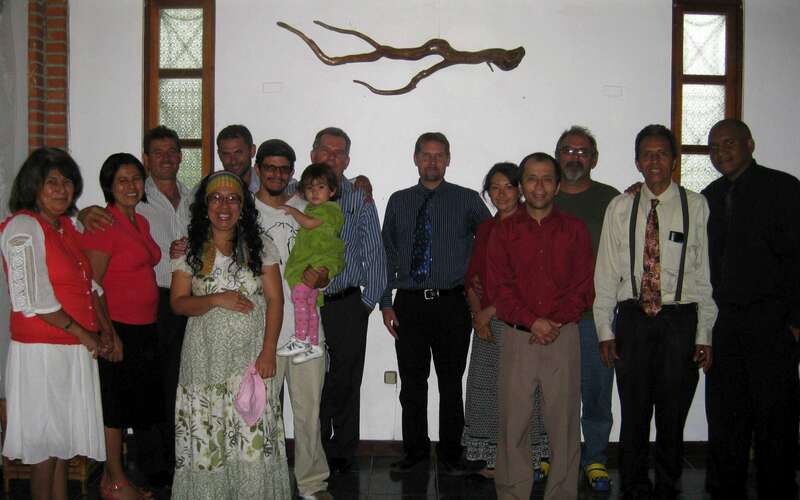 On January 29, Brother Alfred Irizarry and I took a two-week trip to Nicaragua and Costa Rica. Alfred would be my translator for this trip. As usual, the airplane ride allowed us to make friends with some passengers and share some literature. We were greeted at the airport in Managua by our Brother Pedro Robles-Mena (who would accompany us in all of our travels), and his brother, Orlando. In the morning we went to visit with some of the brethren I had met on our previous visit in June. They had some questions about whether Jesus is really the Son of God. They proposed the idea that God only used the word “Son” because He was limited by our human language, and couldn’t explain His relationship to Jesus in any better way. I informed them that God is the one who invented the concept of “son” in our human experience. If He wanted us to believe something else, He could have made us differently or used another word. I believe He made us with the ability to have sons so that we can understand His relationship to His Son. Alfred pointed out that there is no biblical authority for the concept of the Father and Son simply role playing, pretending to be Father and Son. We discussed other aspects of God and Christ, such as whether or not Jesus was all powerful while He was a human. When we left, they showed an interest to study the Bible to see if these things are so. 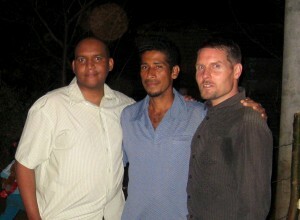 That evening we had our first meeting in Nicaragua, which was focused on how Christ in you makes you free. The practical application of Jesus, the Truth, in your heart, was very well received. During the presentation, a neighbor in the community walked by and stopped to see what we were talking about. He was noticeably drunk, and I welcomed him to come in. He remained outside listening, but was interested. The first message was shared by Brother Alfred about the God of the impossible. It was great to see how the people were blessed by this practical message. I could not understand the whole presentation because it was spoken in Spanish, but I am learning. For the next message, I shared about the promise of God’s Spirit at Pentecost and how God gave a new aspect of this amazing gift, which did not exist before. We saw clearly that the knowledge and experience Christ gained while living as a human allows Him to help us in a greater way than could be done before this experience (Hebrews 2:18; 5:8). We also saw the dramatic change in the Covenants when Jesus died for us; how the old ceremonial system of shadows and types was temporary, pointing people to the real work of Jesus Christ in the heavenly Sanctuary, which began after Jesus was raised from the dead to become our High Priest (Hebrews 2:17; 8:3). The brethren seemed to really appreciate the message. The drunk neighbor from the night before returned with his son, and listened attentively. Afterward, this man, Samuel, urged me to visit him at his home so I could pray for him and his family. On Sabbath afternoon we visited a lady and had a study in her home. I shared my testimony of how the Lord rescued me from drugs and alcohol. I then shared with her about the love of God in giving His Son to die for us. We had prayer with her to receive Jesus as her Savior, and she accepted. Afterwards we stopped by to visit Samuel. I shared with him my testimony about how God pulled me out of drugs and alcohol, and shared the Bible verses that changed my life (Ezekiel 36:26, 27). We were happy to see that he dedicated himself to the Lord as well. Please keep Samuel and this lady in your prayers. In the afternoon, we addressed some questions people have. We looked at 1 John 5:7 and Matthew 28:19, two of the verses that have given many people questions. I explained these things in the same way as I explained them in my book, “Answering Objections,” available in printed form upon request, or you can read it on our website. This was a lively discussion that brought in some helpful insights and a deeper appreciation of God’s love. One young lady asked an excellent question: “If God knew that Satan was going to sin, why did He create him?” Questions along this line are my favorite type of questions. We discussed the fact that God did not want us to be robots that can only do what He commands. Instead He wants us to have a free will. We read about the history of Satan’s fall, and the question about God’s character that Satan introduced to the universe (Ezekiel 28:13-17; Genesis 3:1-6). We read about God’s promise in Nahum 1:9 that He is going to deal with the sin problem so completely that it will never rise again (Revelation 21:4). We saw that once doubts about God’s love were introduced into the universe, God had to do something extreme to demonstrate that He loves us with every fiber of His being to insure that sin will not come back. We read, “He that spared not his own Son, but delivered him up for us all, how shall he not with him also freely give us all things?” (Romans 8:32). This verse shows that the gift of God’s Son was the greatest possible gift He could give and removes any chance of Him being selfish. Any lesser gift would have left doubts about God’s love. He could still be selfish and give up a cow, a human, or even an angel. The charge against His character was so big that it required a monumental demonstration of His absolute unselfish character. Anything less would have allowed sin to rise again. God could have destroyed Satan as soon as he started going astray, but that would only prove Satan’s charges to be correct. God had to allow Satan to demonstrate the terrible results of separating from the source of all goodness, so nobody would ever seek to go down that road again. When it is all finished, sin will never come back. This focus on the love of God as the answer to the great controversy over His character became the primary message I shared all over the countries of Costa Rica and Nicaragua. We found it to be incredibly helpful in addressing many issues. On Sunday we went to visit a few people, scattered over quite a distance, to encourage them in their walk with the Lord. As we were driving through some of the towns, I was watching the people, asking God to show how I can cooperate in His work of drawing these people to Christ (John 6:44; 12:32). I was seeking to be available for God to use in whatever way He chooses. The next day I would get an opportunity. In the evening we had another meeting with the brethren we had studied with on Sabbath. Samuel again visited. This time his daughter was with him and he was not drunk. He was very interested in the studies. On Monday we traveled to Costa Rica. During a long wait at the border crossing, we met a lady from Switzerland with whom we had an interesting conversation. Alfred asked her about her spiritual life and learned she was agnostic and could not understand why God would allow all the pain in the world if He really loves us. I asked her if she would mind if I read her a Bible verse that explains the reason behind all of this. She was reluctant at first, but it led to an hour-long Bible study on the history of the fall of Satan and how he introduced the questions about God’s character that needed to be answered by Him sending His Son to die for us. She was very interested to learn concepts that she had never considered before. Please pray for her. I did not get her name, but God knows it. I felt this was an answer to my prayer the day before. We stopped in Tilaran, Costa Rica, to visit with Henry and his lovely family. We arrived just in time to have a study with some people Henry had invited from his community. The Lord greatly blessed in this meeting. I wrote to my wife and told her that I believe the Lord used me to share His love probably more powerfully than He had ever done before. Everyone was happy to learn more about God’s incredible love for us as the answer to Satan’s charges. After a delightful breakfast we visited a few brethren to share a study on God’s love similarly to how it was shared the night before. They were interested to hear what we had to share and were willing to study things out more thoroughly to see if these things are so. 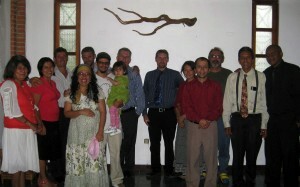 Afterwards, we took a bus to San Jose, where we stayed in the home of our brother, Federico. It was nice to visit with this family whom I had met in our previous trip last June. We boarded a bus in the morning for a long trip to near the border of Panama. Our route took seven hours, and we arrived around 3pm, where we were greeted by Brother Dennis. I was delighted to see him again. I had met him in June when we had meetings near San Jose. In the afternoon, we visited a lawyer and had a study with him in his office. He was eager to learn about the plan of salvation and the amazing love of God in giving His Son. He had not heard it explained this way before and was eager to meet with us again on Sabbath to discuss it further. That evening, two Italian families came to the house to study with us. Sergio introduced himself, and then clearly explained several things he believed, including the idea that the Father, Son, and Holy Spirit, are three functions of the same person (Jesus only). After explaining this, he turned to Pedro and asked, “So what do you believe about these things?” Pedro, calmly redirected the question to me. I said, “I would like to answer that question with some Bible verses.” So we read Ezekiel 28:12-19; Genesis 3:1-6; and Romans 8:32. I explained that God’s love was questioned by Satan, and Eve was tricked into thinking God didn’t love her, so she ate the forbidden fruit. I explained the great controversy and God’s method of restoring His creation to a relationship with Him by sending His Son to die for us. This was new for him, and hard to accept. He asked, “How could God have a Son since He is a Spirit.” We read Daniel 7:9-13, which demonstrated that the Father has a form, sits on a throne, has white hair, etc. This verse surprised him. It also surprised him to see that Jesus was shown to be a separate Person who approached the throne of His Father (Daniel 7:13; Revelation 4:2,3; 5:1-7). He had never envisioned God as an actual person. We read Philippians 2:5-9 and saw that Jesus was in the form of God before coming to earth in the form of man. They were completely amazed to learn that the Bible is so plain on this subject. They began questioning many things. It was thrilling to see God’s love break through the barriers that had been erected. They were not ready to accept what was shared, but were certainly ready to take a fresh look at the identity of Jesus Christ. They left with the desire to study further and invited us to eat lunch with them the next day. In the morning we had a study with Dennis and Pedro, sharing some new insights on the subject of baptism. We went to the home of Sergio for lunch, followed by a study with his family and some of his neighbors. They still had some question about their new understanding of Jesus as the Son of God. They were excited to learn about the reality of Jesus Christ as a separate individual from His Father, which opened up a new appreciation of the love of God in giving His Son to die for them. They said they would meet with us on Sabbath to learn more. That evening, we traveled to the border of Panama to have a study with two gentlemen who are involved in evangelism through radio, distributing literature, and a health food store. They were very friendly and open to hear what I had to share. As had been my custom, I started by sharing the history of Satan and the great controversy over God’s character. They were able to see the Biblical evidence for Jesus being the only-begotten Son of God and decided to study it further to see if these things are so. Please keep them in prayer that sharing God’s love can be the primary focus of their missionary work. We had an early morning study with a young man named Josue. He has a similar background to mine, and it was refreshing to see his zeal and enthusiasm. He had questions about the plan of salvation and why sin exists. For the main Sabbath services we had a mixed multitude of people attending. There were several from the Hebrew Roots movement, desiring to go back to aspects of the ceremonial law. The lawyer, Sergio, and several others were also there from different backgrounds. I had not met most of the people, so again I shared the wonderful love of God in giving His Son as the answer to questions about His character. This stimulated a lively discussion. Several from the Hebrew Roots movement believed that Jesus Christ began his existence when He was born of Mary in Bethlehem. We saw clearly from the Bible that Jesus is really God’s Son, born of His Father before anything was created. There was a bit of an uproar about this because one individual had a Spanish Bible translation that was actually a paraphrased version, presenting Jesus’ preexistence as nothing more than thoughts in God’s mind. This version was hailed as one of the most accurate translations of the Bible, but it completely eliminated the words, “begotten,” or “Son” from John 3:16. When discussing this with those promoting it, we found that the translator of this Bible actually claimed that the original New Testament was transmitted orally in Hebrew, and was eventually written for the first time in Greek. The translator felt free to change any words of the Greek text as he felt appropriate, according to his understanding of what he thought the Hebrew thoughts were. This made for a pretty sad paraphrased version of the Bible, based upon one man’s preconceived ideas. I shared with them four Bible tests to perform on any New Testament Bible translation to see if it follows the Protestant majority texts (5,000+ manuscripts), or the Catholic Vaticanus and Sinaiticus (2 manuscripts). They were surprised to find that their translation failed every test, and was based upon the two faulty manuscripts. (If you would like to know the tests, simply compare John 1:18; Romans 8:1; Ephesians 3:9; and Revelation 22:14 with the KJV. If these texts agree with the KJV, then it follows the 5,000+ manuscripts, and is probably a pretty good translation. (For a thorough study on this read the article entitled, “Which Bible Should I Use” in the March 1999 issue of Present Truth. In the afternoon, we opened the meeting for questions and answers. Almost everyone accepted the Biblical evidence that Jesus Christ is literally the only begotten Son of God, and that God’s love cannot be questioned after such a great sacrifice as this. Many expressed their heartfelt appreciation for receiving a greater glimpse of the love of God. In the evening Brother Juan, whom we had met the first night in San Vito, stopped by with his mother and son, Pablo, to ask some questions about the book, God’s Love on Trial. Pablo also asked about sacred names and feast days. God blessed us with strength to last throughout the day. We had begun around 6am, and ended after 10pm, talking with people nearly the whole time. God especially strengthened Brother Alfred, who talked more than anyone due to translating in both directions. I pointed out that the Greek name “Iesous” is the very best possible transliteration into Greek of the Hebrew name, “Yeshua” (There is no Y or SH sound in Greek and masculine names end with an S), and had been transliterated into Greek hundreds of years before Jesus came to earth (in the Greek translation of the Old Testament, called the Septuagint). I pointed out that there are no magic word sounds that are going to save you. 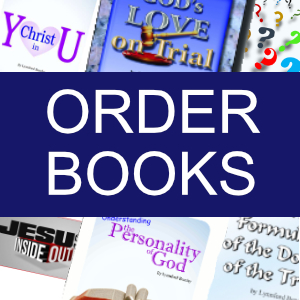 God will accept you whether you call on Jesus in English, Iesous in Greek, Yeshua in Hebrew, or whatever your language. God is not concerned with the sound of a word, but with a heart transformed by His love and indwelling Spirit. 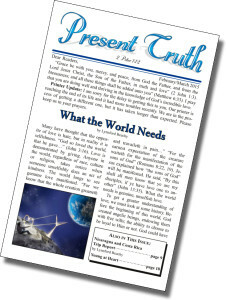 (Please read the November and December 2005 issues of Present Truth for a thorough study on this topic.) It was very helpful to see the drastic contrast between a God who is willing to give everything for your salvation and one who will kill you if you fail to pronounce his name just right. We also saw the contrast between the temporary ceremonial laws that were added because of sin, and the eternal moral laws that will exist throughout all eternity. The Lord blessed in this meeting, and people were able to gain a deeper understanding of God’s love and compassion. Many expressed their thankfulness for learning that God is too loving to be concerned about hearing a specific sound of a word. It was thrilling to see how God restored Alfred’s voice to translate for this meeting. His voice had been taxed through all the meetings. He actually had to talk a lot more than I did, and his voice suffered because of it. After many prayers, God miraculously restored his voice just minutes before getting up to translate the message. Praise God! Our bus left from San Jose at midnight for a nine-hour trip to Granada, Nicaragua. After a few hours’ rest, we visited some brethren to have prayer with them and encourage them in their walk with the Lord. We left Granada for Managua, where we would stay the night. On the way, we shared a study on the love of God with a pastor and his wife. They both seemed very appreciative of the simple message on God’s love in giving His real Son to die for us. 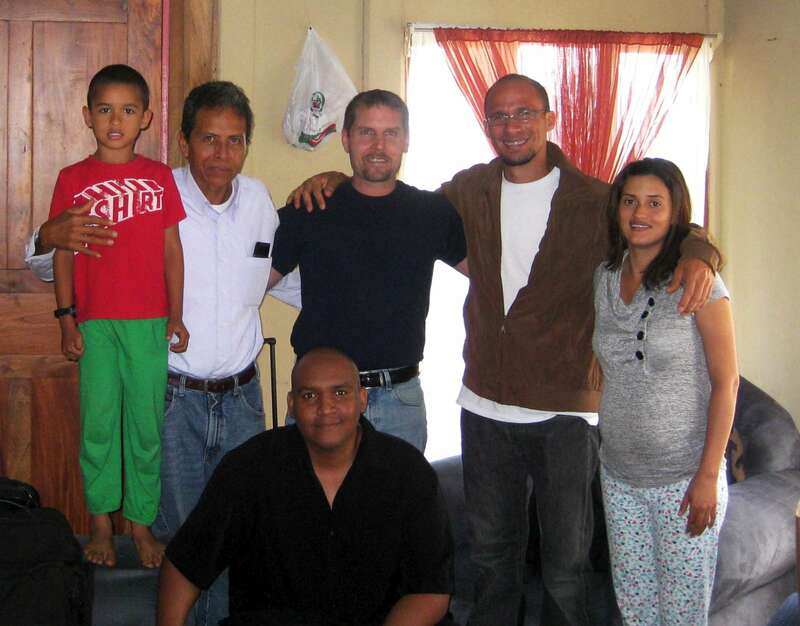 We arrived in Managua at the home of a pastor who invited us to stay the night in his home. We studied the subject of God’s love in giving His Son. He was very reluctant to accept anything different from what he had already known, but he agreed to study some of the literature we left with him. We stayed the night in his home and left the next morning for the United States. On the airplane I sat next to a Spanish woman and her young child. She did not speak any English, so I had a chance to practice my little bit of Spanish. I asked her if she likes to read, and she was eager to receive the booklet, Christ in You, in Spanish. She read the entire booklet in about 30 minutes. She said she really liked it, and when I told her I have another one, she was eager to get that one as well. I gave her a copy of God’s Love on Trial in Spanish. She read the first chapter before we landed in Houston. Please pray for her, as well all the brethren in Nicaragua and Costa Rica whom we were able to meet. It was wonderful to see my wife and three children greeting me in the airport. It is difficult to leave my family for a trip like this, but it is certainly rewarding to return to their warm smiles and hugs. I was very blessed to have Brother Alfred to accompany me on this trip. Not only was he an excellent translator, but a precious brother to share ideas with. This was encouraging and helpful in spreading the gospel. Please pray for all the dear brothers and sisters we met along our trip. Alfred and I will soon be joining other ministers in the Dominican Republic for a camp meeting in April. Please pray that the Lord will bless that trip as well. There is a lot of work to do everywhere in the world. Please seek the Lord to see how you can cooperate in His work of drawing people to Christ. There are so many opportunities to do something to encourage people to look to Jesus Christ, the answer to all of their needs. I pray that your response to the Lord will be similar to Isaiah’s: “I heard the voice of the Lord, saying, Whom shall I send, and who will go for us? Then said I, Here am I; send me” (Isaiah 6:8).